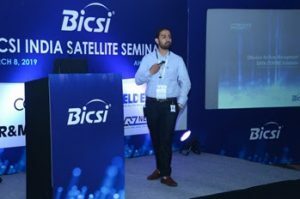 NetRack, a leading solution provider for data centers and end-to-end IT server racks, recently participated in BISCI Satellite seminar -Ahmedabad. At the seminar, NetRack expertise team addressed the challenges faced by organizations in implementing effective thermal management for their data centers and server rooms. The team also briefed the visitors on how adoption of Air Flow Management techniques/initiatives maximizes the overall data center efficiency. BICSI provides a significant platform to learn from the Information & Communications Technology (ICT) community experts, industry leaders and exhibitors. NetRack’s Air Flow Management strategies were a great hit at BICSI and was well appreciated by industry leaders. NetRack helps to reduce CAPEX and OPEX costs for organizations by manufacturing cost effective and scalable products which are environment friendly. The product range of NetRack is UL certified and follows all the international guidelines for product manufacturing.